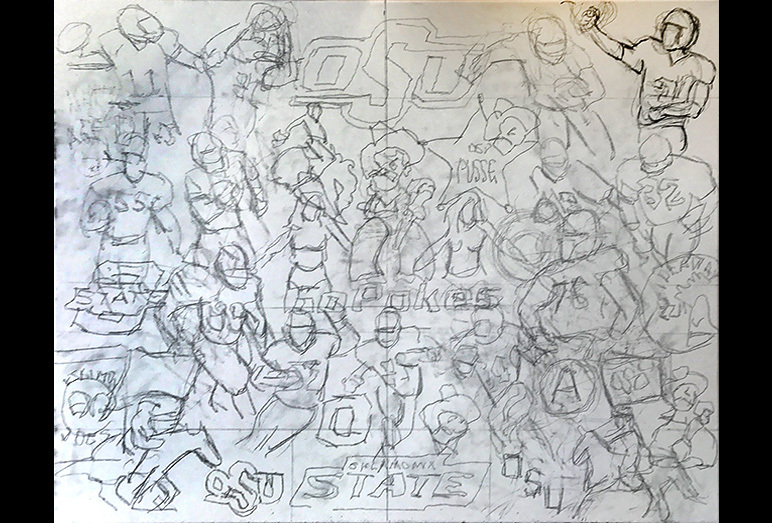 On The Easel Gallery progression paintings show multiple images of the artists process from beginning sketch work to the finished oil on canvas composition. 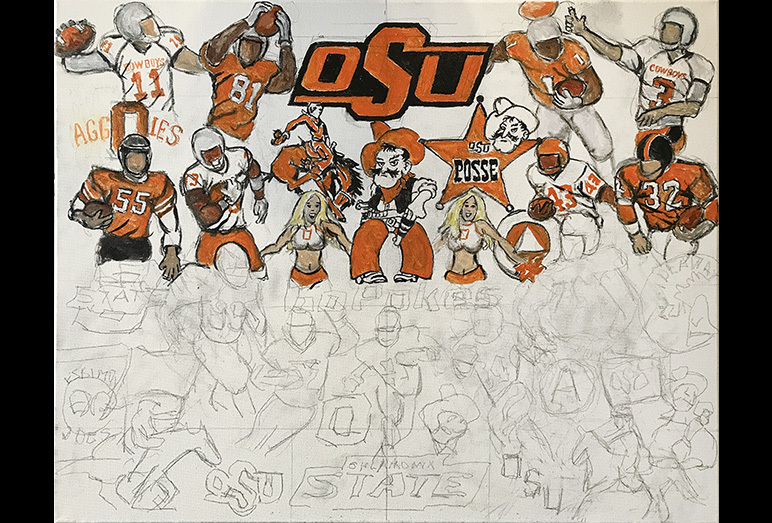 Oklahoma State Cowboys Tribute -- Painting Progression -- Use controls to view all images. 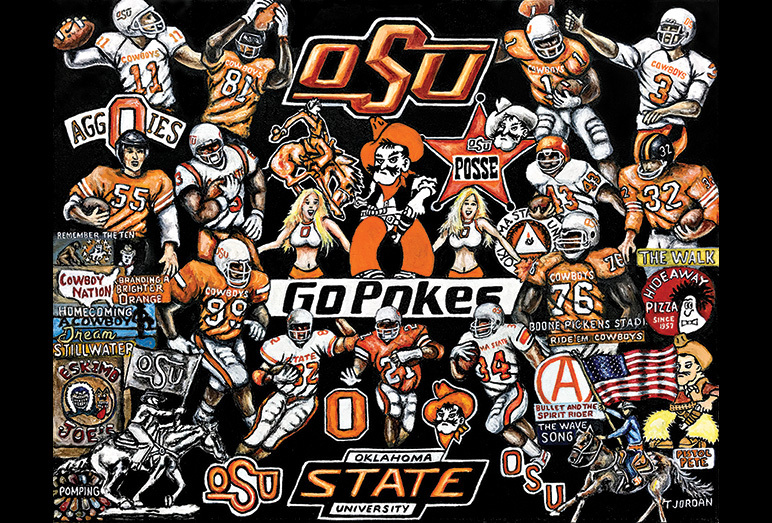 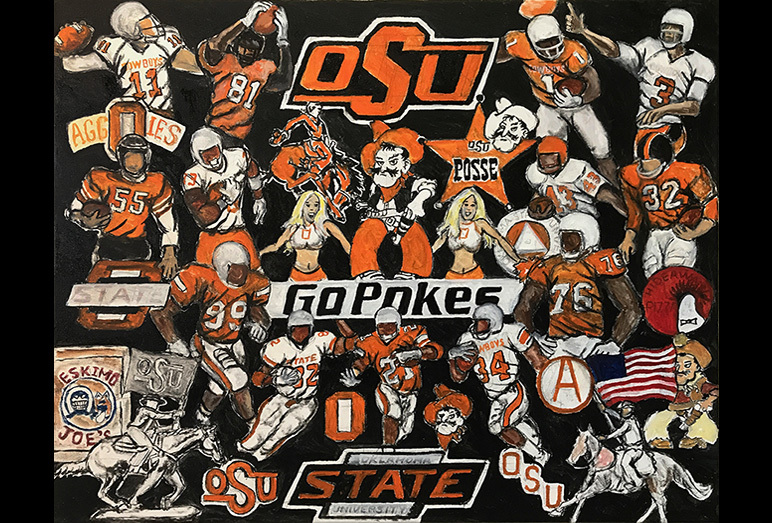 Tom is happy to introduce another completed painting, a tribute to the Oklahoma State Cowboys football program. 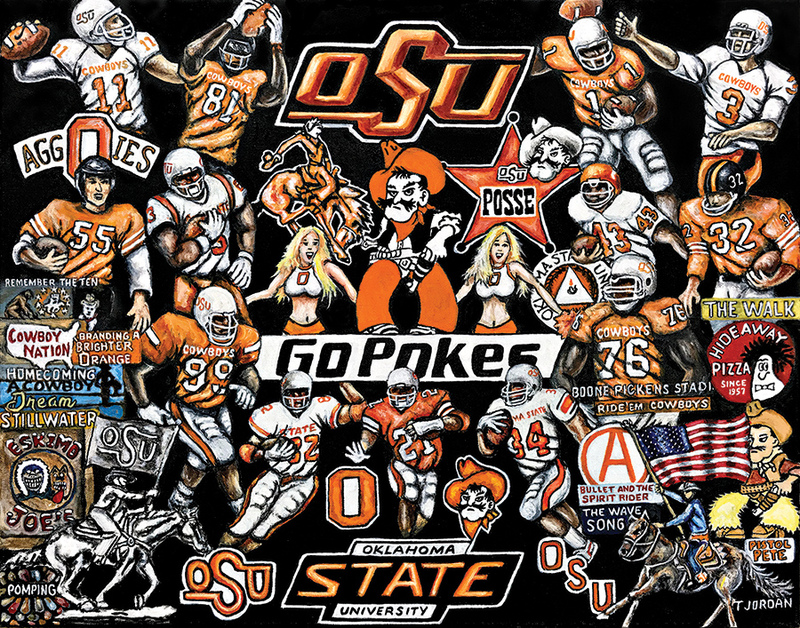 Okalahoma State is a member of the Big 12 Conference. 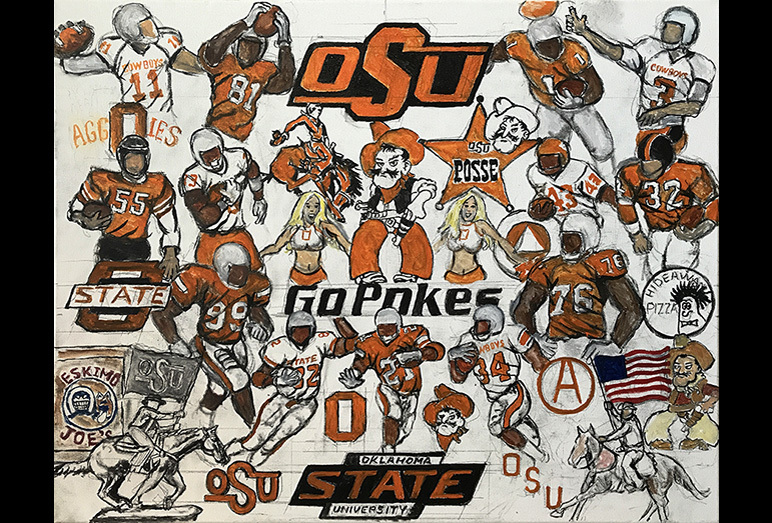 The Posse Alumni should enjoy this tribute to an exciting college football program.